Construction sites can face a unique range of safety and security issues, including accidents, vandalism, and theft. 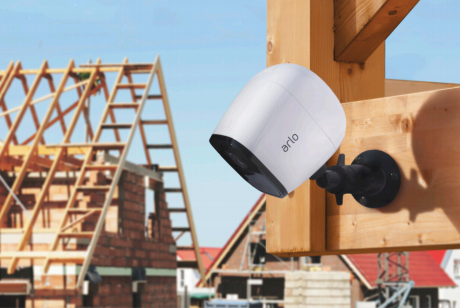 Unlike other cameras, Arlo Go cameras can work anywhere, without power or wired Internet and are a convenient solution for any construction site. Delivering safety, efficiency and peace of mind – every worksite should have at least one Arlo Go camera. Make Arlo Go your after-hours security patrol. Protect your assets and reduce thefts and vandalism at your site. Receive instant alerts any time someone goes where they shouldn’t be - day or night. Check-in any time to see if workers are following safety protocols. Review cloud recordings and stored footage to identify and prevent hazards at the site, and plan proactive risk mitigation steps. Reduce liability by using camera recordings as evidence in the event of crimes or accidents. 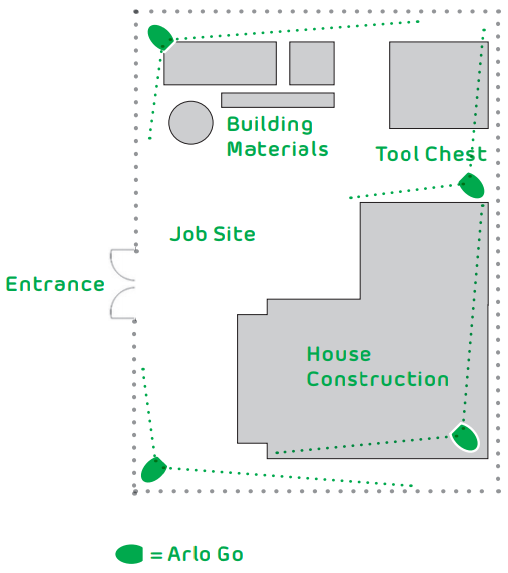 Check on stages and shifts throughout the construction process. Plan schedules based on weather conditions, material deliveries and more. Communicate instantly over twoway audio. Let stakeholders track project progress remotely. Arlo understands construction. You don’t have an IT team or big budgets, but that doesn’t mean you can’t protect your job sites. Arlo Go makes it easy and affordable to keep your business secured around the clock. 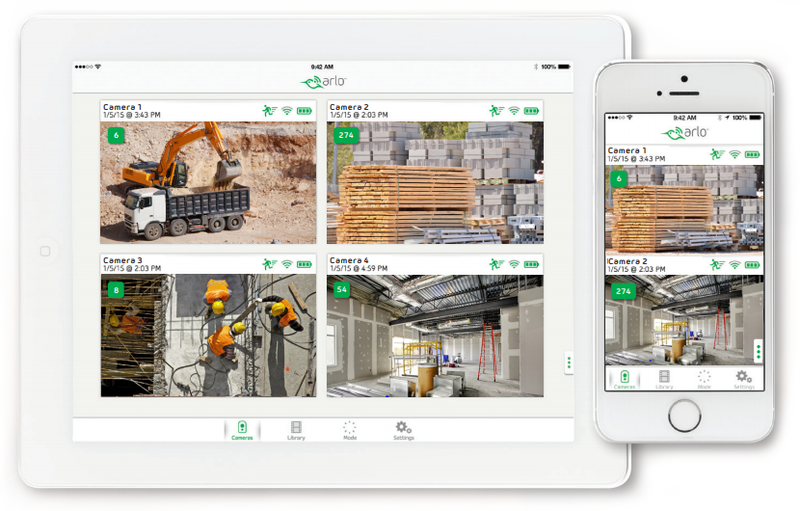 Download the Arlo For Construction Sites Datasheet (PDF).